Standing 2.5 inches tall, this little custom Kidrobot Trikky is a one of a kind piece with a love for most colors...Some taste better than others, bright green doesn't look like one of his favorites but he'll still try it until it's gone. Sculpted, given a false eye and hand painted with acrylics before finishing with a clear lacquer..Pictured below is how it looked before painting. 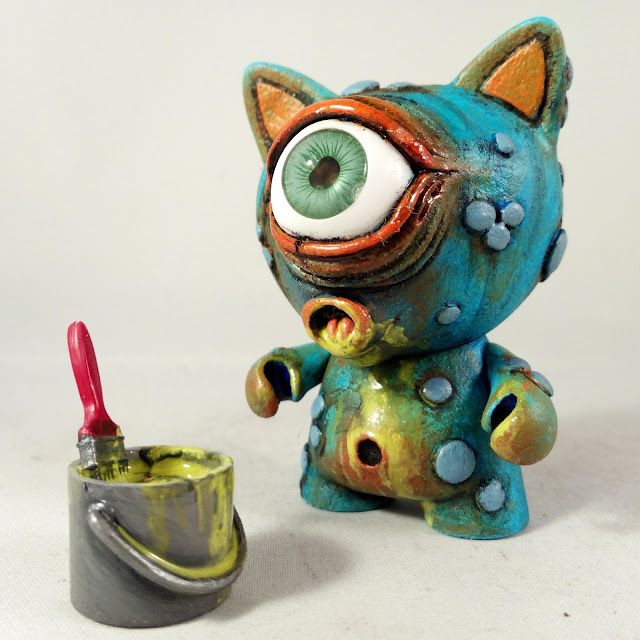 If you'd like to own this little creature check out my Bigcartel store, and make sure you keep it away from your paint stash.